→What Software Do You Need for 3D Printing? If you’re looking to set out on your 3D printing journey, you might be a little lost as to where to start exactly. One of the starting steps is knowing what software to use when you’re 3D printing. It’s basically divided into 2 things: The 3D modeling tool and the Slicers and 3D printing hosts. You can use some extra tools that can be handy and that we’ll discuss later on. Those are divided into 3 categories: CAD (Computer-aided design) tools, Freeform modeling tools, and sculpting tools. The difference isn’t in whether they’re suitable for 3D printing or not, but rather in the way the inputs are produced. CAD tools use geometrical shapes to build the models, whereas Freeform modeling tools give you more freedom to choose whatever shape you want. Sculpting tools, on the other hand, work like digital clay that you can pull, pinch, push, or grab to form the model you want. Finally, there are “Customizers” that come with pre-existing models that you can easily shape by modifying a couple of simple setting –a great method for beginners or if you’re working on a simple project and don’t want to exert too much effort. This online 3D modeling tool gives you access to the basic features for free. If you want the premium ones, you’re required to make a payment. In other words, it’s freemium. It’s also a community platform where you can create, customize, and share 3D models. It’s a suitable choice for beginners or intermediate designers. With 123D Design, you can easily create and edit 3D models. You can get access to most of the features in the free version as it’s a freemium tool. It’s suitable for beginners. 3D Slash is a great modeling app for non-designer users of all ages. You can have fun creating your own designs with Minecraft-looking tools and features. You get picture projection as well as import and export of STL files and much more. Fusion 360 by Autodesk Inc.
Fusion 360 is a suitable tool for intermediate users and professionals as it gives you great capabilities with a user-friendly experience. FreeCAD is a parametric 3D modeler that works well for product design and engineering. It’s rich with features and has a high learning curve, so it’s suitable for advanced users. It’s suitable for a number of platforms so it runs smoothly on Windows, Linux, and Mac OS. SketchUp by Trimble Navigation Ltd.
SketchUp is a 3D modeling program suitable for architectural, interior design, civil and mechanical engineering applications. It combines between being powerful and easy to use, so it’s ideal for beginners and intermediate users. You can get the free SketchUp Make or the paid SketchUp Pro if you want to export to STL file formats to 3D print. TinkerCAD is a browser-based 3D modeling program fit for beginners. You can save your finished work online or share it with friends as well as export STL files to execute your 3D printing or send your design to a 3D printing service. Freeform modeling tools don’t restrict you to specific geometric shapes, that’s why it takes someone with more experience to work with them. That’s also the reason you won’t find many of them for free, unlike the CAD tools. 3DS Max by Autodesk Inc.
3DS Max 3D modeling software gives you the freedom to model, animate, simulate, and rendering solution for film, game, and motion graphics artists. Blender is one of the few free options in the Freeform modeling realm. It’s also an open source 3D animation suite. It provides support to the entirety of the 3D pipeline. From modeling to rigging, animation, simulation, to rendering, compositing and motion tracking. You can even edit videos and create games for free. Cinema 4D Studio is a 3D application for modeling, animation, and rendering. It has the ability to produce procedural and polygonal/subd modeling, lighting, animating, texturing and rendering. It suits professional 3D artists who want to create intricate 3D graphics. Maya is a 3D computer graphics software that offers numerous creative features for animation, modeling, simulation, and rendering. You can use it to create interactive 3D applications such as video games, animated movies, TV series, and visual effects. Sculptris is a software program for sculpting where its primary focus is on the idea of modeling clay. It’s available for free for MacOS and Windows. Geomagic Sculpt by 3D Systems Inc.
Geomagic is a modeling tool that gives you the ability to sculpt with virtual clay. It has the mash-up capability as well as exporting 3D print-ready *stl files. ZBrush is a digital sculpting tool that combines 3D/2.5D modeling, painting, and texturing. It uses pixol technology –a proprietary tool that’s able to store lighting, material, color, and depth information for all on-screen objects. 3DRacers is a 3D printed indoor racing game based on Arduino. You can use the browser-based editor to personalize your car and have the final design e-mailed to you in *stl format. You can 3D print the car parts, assemble them, and then go race. Charmr is a customizer that allows you to turn a photo into a unique, personalized, 3D-printable piece of jewelry. You can print the final design with a 3D printing service or at home with the .stl file. Print preparation column tells you whether the software allows you to prepare your 3D model for printing. This includes being able to scale, rotate, and place the model on the print bed. Slicing, on the other hand, is what generates the G-code necessary to feed into your 3D printer. There are 2 types of software: Cross Platform tools and Cloud-Based Solutions. The former work with all 3D printer brands, which means they’re ideal if you own a 3D printer with no native software. The latter are browser-based, so they require an internet connection where the slicing, mesh repair, and print queue management can be carried out in the cloud. Cura is a free slicer and host software that’s open-source. This means you can use it even if you don’t have an Ultimaker 3D printer. It’s very easy to use, so it’s ideal for beginners who are looking for a solid 3D print. KISSlicer is a cross-platform G-code generator for 3D printers. Its slicing results are top-notch although the user interface may not be the most up-to-date. You can get it in a free or premium version. Simplify 3D is a premium slicer and 3D printer host. It includes a lot of powerful features that allow you to repair, prepare, preview, and slice your 3D models. Its slicer is super quick and has advanced support generation with a detailed preview mode that makes it great for advanced users. 3DPrinterOS by 3D Control System Ltd.
3DprinterOS gives the user the ability to quickly and easily search or upload 3D printable content. You can repair designs, customize settings, lice in the cloud, and send files to be printed to anyone. AstroPint is a browser-based software application that allows you to slice, store, and print your 3D files from any device with an internet connection. You can monitor and manage your 3D printer and organize designs in the cloud. Moreover, you can 3D print from your tablet, computer, or phone as the user interface is pretty responsive and reliable. MakePrintable by Mixed Dimensions Inc.
MakePrintable is a web service that lets you upload your 3D model before you print it. It then analyzes the design and gives you statistics regarding how printable it is. You can then configure the output characteristics and the algorithm will re-mesh your model to remove the problems and give you a print-ready 3D model. MeshFix is an open-source 3D model repair tool that works on fixing many defects in meshes such as holes, non-manifold elements, and self-intersections. It finally gives you a water-tight triangle mesh that’s 3D print-ready. It’s only available for Windows, however. MeshMixer is the Swiss army knife for 3D meshes. It’s not only capable of repairing your mesh but also has functions like sculpting, hollowing, mirroring, cutting, scaling, and building support structures –all of which make it a 3D printing treasure. It’s available for free for Windows, OS X, and Linux. 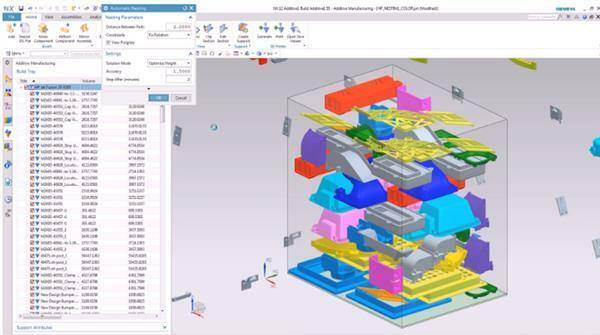 Netfabb is a 3D printing preparation tool that offers you a variety of pre-print features including mesh-repair, wall thickness adjustments, file size reduction, and merging or subtracting parts. It also allows you to create, analyze, or adjust supports for your 3D prints.